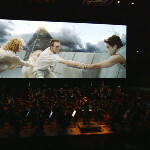 Many ensembles have paired live music with film, but maybe none in the style of Symphonic Cinema. In Lucas van Woerkum’s staging, the moving image responds dynamically to live music as it’s played. 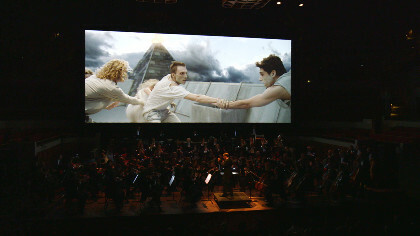 If the orchestra speeds up, the film speeds up; if they slow, the video does, too. It’s a captivating duet sure to dazzle audiences.